Tori Amos And Passion Pit In Concert For roughly two decades, Tori Amos has been one of the most unpredictable and distinctive artists in popular music. Her haunting piano playing and stirring vocals have earned her an intensely devoted following, and she continues to make inventive and surprising music. Hear Amos perform five songs live in concert from WXPN in Philadelphia on Aug. 15, along with five more songs by up-and-coming opening act Passion Pit. Tori Amos performs live in Philadelphia on Aug. 15. 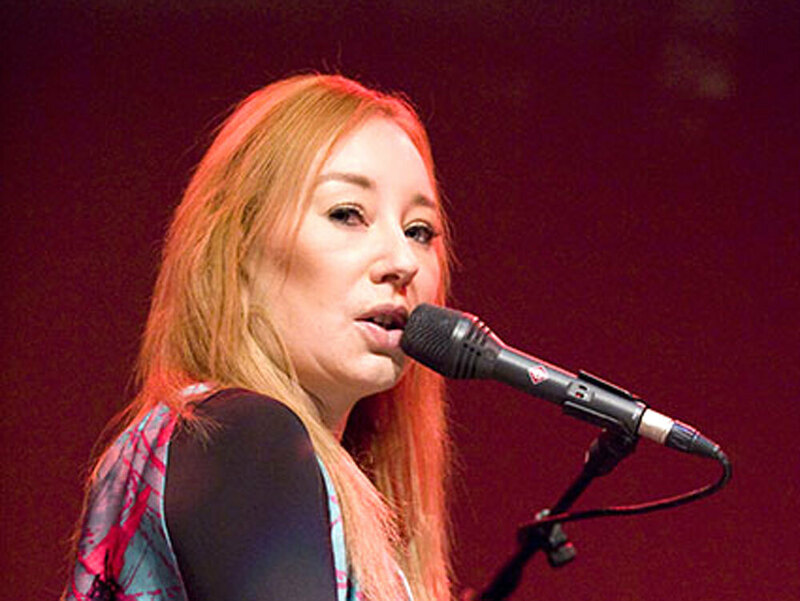 For roughly two decades, Tori Amos has been one of the most unpredictable and distinctive artists in popular music. Her haunting piano playing and stirring vocals have earned her an intensely devoted following, and she continues to make inventive and surprising music. Click the link above to hear Amos perform five songs live in concert from WXPN and World Cafe Live in Philadelphia on Aug. 15, along with five more songs by up-and-coming opening act Passion Pit. Amos broke into the mainstream in the early '90s, thanks to an intimate, piano-based sound unlike any other on the charts at the time. Throughout her career, Amos has pushed the boundaries of contemporary music, creating albums using everything from electronic elements to alter egos. She recently returned with her 10th studio record, Abnormally Attracted to Sin, on which darkness abounds and electronics sizzle alongside pianos and guitars. It's easy to get lost in the danceable intensity of Boston-based opener Passion Pit, but the group has more to offer than just catchy hooks. Its distinct, emotionally charged brand of electro-pop first attracted fans after the release of 2008's Chunk of Change EP. Originally recorded by vocalist and keyboardist Michael Angelakos as a Valentine's Day present for his girlfriend, the six-song disc became a hit at Emerson College, which Angelakos was attending. Thanks to the hit song "Sleepyhead," the EP attracted attention from MTV and the BBC, and helped the group earn a record deal along the way. Passion Pit followed it with this year's full-length Manners.